Bar-Ilan University is to launch Israel’s first academic international summer certificate program, taught entirely in English, in the field of conflict resolution. The four-week program (July 5-30, 2015) will examine local, national and international conflicts with a focus on identity-based conflicts, and particular emphasis on conflicts based in Israel. It is being operated by the University’s Graduate Program in Conflict Management, Resolution and Negotiation, the best established conflict resolution program in Israel. “The summer program will allow students to learn about prevalent and dangerous conflicts in a country that is filled with identity conflicts and in need of constructive engagement. The experience will provide them with innovative ways to respond to deep conflicts in all circles of life,” explains Prof. Michal Alberstein, Head of the Graduate Program in Conflict Management, Resolution and Negotiation. Interdisciplinary in nature, the summer program will incorporate a variety of disciplines and fields, including law, psychology, religion, and culture in its seminars, workshops, simulations, guest lectures, study tours and internships. Social events, such as meetings with Israeli Jewish/Palestinian students and cultural activities, are also planned. Courses will include: From Identity-Based Conflict to Identity-Based Cooperation, Religion and Conflict Resolution, Collective Memory, Narrative and Conflict, Alternative Dispute Resolution and Culture and Field Work/Internships at leading think tanks and NGOs. Upon completion of the program, participants will receive a certificate and 11 academic credits in conjunction with their home universities. 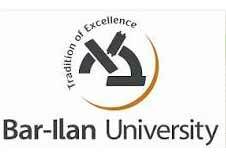 The summer credits will also be recognized for the planned English-language Masters track in Conflict Resolution at Bar-Ilan University and for the Masters track currently taught in Hebrew. Applications are now being accepted from those who hold Bachelors/Masters degrees and those currently enrolled in Masters degree programs in social sciences, liberal arts and the humanities. Further information about the program may be found at http://pconfl.biu.ac.il/en/node/1950. Yep. Universities are becoming more and more esoteric – live in a world of their own. which doesn’t have much to do with their origins going back centuries. Israel is not a shining light of knowledge in this respect. A nation that capitulates to terrorists’ demands, allows those same terrorists to present a false narrative unchallenged, to the point that the world now believes that there was once a COUNTRY called Palestine, a nation that releases batches of terrorist murderers not once but twice (in “negotiations”) in the hope that the other “negotiating partner” may do this or that. Even after the first batch were released and treated as heroes by the “Palestinian” populace, Israel went ahead and released the second batch with no change in negotiating stance by the Palestinian Authority. A nation that forever says that its enemies will “pay a price” but never comes good on that promise. A nation that never attempts to bring real peace in the only way possible, that is by the unconditional surrender of the enemy. Even during the recent war in Gaza, all the Israeli Prime Minister could say was that the countries goals were: “The restoration of quiet and the restoration of security for a lengthy period of time for the citizens of Israel.” Excuse me, restoration of quiet for a lengthy period of time! Foolish me for thinking that this time the goals were to be the destruction of Hamas once and for all. Regardless of Netanyahu’s bravery and honourable service as a Seyeret Matkal commando, as a leader, he along with the entire Israeli leadership are pathetic when it comes to negotiations. The nation once held all the cards but has squandered the lot. All we see is concession after concession to a ruthless enemy which is not remotely interested in negotiations, yet Israel virtually begs these same people to come back to the negotiating table. Why should terrorists negotiate when they can demand? Now we see the latest debacle, an Israeli university touting itself as a place to come and learn something remotely resembling conflict resolution! Bar-Ilan University should first go and run its silly course to the Jewish members of the Knesset and see what effect that has.